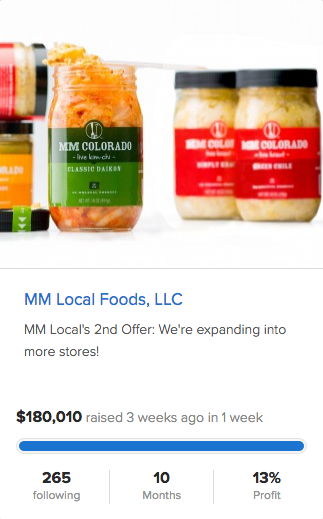 MM Local Foods has completed a crowdfinancing opportunity already this year and recently raised funds a second time. 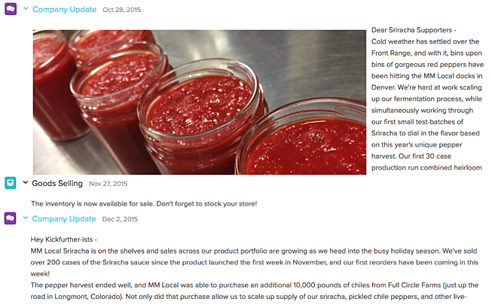 MM partners with family farmers to preserve surplus produce at the height of harvest through our two brands MM Colorado and MM Pacific Northwest. Their production model helps prevent food from going to waste and helps local farmers grow. Even with retail sales booming at 95% year-over-year and having already done over $1MM(Local) in product sales last year, the demand for their products was outstripping the available inventory. 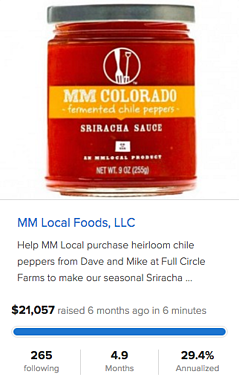 MM Local's First Co-Op was to crowdfinance the production of an additional 10,000 units of MM Colorado Sriracha sauce. MM Local came back for a Second Co-Op in April to fund a Live-Fermented product line as well as MM Pacific NW fruit spreads for Whole Foods in the Pacific Northwest. Having built credibility among the Kickfurther community through their first completed Co-Op, they listed this Purchase Order. Having a completed opportunity on Kickfurther allows a business to raise more capital at a lower cost. 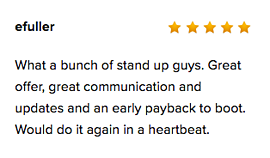 One of the best practices on the site is to "under promise, over deliver". MM Local utilized the crowdfinancing platform initially to leverage a future raise which would launch after completing their first opportunity. While the minimum production run cost for a company moving this volume of product is well over the $21k of their first raise, they saw the value in making friends. MM Local decided to show the appreciation of their supporters by allowing them to earn a money rather than the bank making money off of their success. By doing so, their fans gain when MM Local gains. Fans win when MM Local wins. They’ve now got a bond stronger than just purchasing goods. The customer has a vested interest in your business. It’s engagement with your fans and supporters that you just can’t measure. 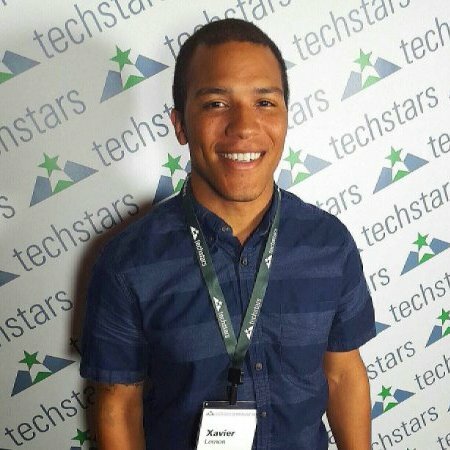 Sharing the Kickfurther campaign creates a viral frenzy of offer exposure. Customers often share their excitment in working with the brand as well as promoting on their own. MM Local used social media to get spread the word and get others talking. Engaging with those who shared their opportunity once again strenghtened their bond with their customers and fans. Communication is key. The Kickfurther community loves being updated when the status changes such as, goods landed, selling or a payback initated. By using the Kickfurther platform to begin dialog with their contributors, MM Local established themselves as a trustworthy brand which greatly helped in funding their second crowdfinance opportunity. To create an opportunity, simply sign up and enter some basic information about your company. After creating and submitting, your crowdfinancing project will be listed as an upcoming business so you can start to build buzz around your campaign. Feel free to reach out with questions anytime. Contact@kickfuther.com.